Easy and delicious baked eggs in salsa are an effortless fun, spicy twist on breakfast. Baking in ramekins makes for perfect portion control too! 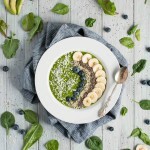 Eggs are pretty standard breakfast fare, and being such, I find myself getting stuck in a creativity rut when it comes to switching up our morning meal routine. Most weekday mornings call for quick, easy, and filling. Luckily, these baked eggs are just that. Don’t let the 12 minute cook time scare you away! Once you pop these in the oven, you can walk away and finish your morning primping routine and let the oven do its work. I love the addition of cotija cheese and cilantro, but you can just use pre-grated cheddar to trim the prep time down to under a minute. Add a piece of toast, and maybe a bit of fruit and you’ve got an easy, filling breakfast that will keep you full until lunch. See, eating healthy doesn’t have to be hard at all! The process couldn’t get any easier. 1. Spray with cooking spray and spoon salsa into ramekins. 2. Crack eggs into ramekins. 3. Add cheese, salt, and pepper and bake. 4. Add any toppings that you want and enjoy! Yup, its really that easy. I used the ramekins that came with my CorningWare Set, but if you don’t have ramekins, don’t sweat it. You can do this in any small oven-safe baking dish with a flat bottom. Sometimes if I’m super hungry, I’ll use a bigger dish, two eggs, and double the salsa for a super protein-packed breakfast. These baked eggs are really best served with toast, but if you’re like me and rarely keep bread in the house, doing the double egg method will make sure you get enough calories to keep you full all morning. None of us like that 10am tummy rumble and the key to avoiding that is a protein and complex carb loaded first meal. With summer in full swing in Portland, all things cooking related have really been off my radar. Hence the two weeks between posts. Our summer schedule is filling up faster than I can keep up with. Between home projects, out of town visitors, and fun in the sun, downtime has been at a premium around here. I forgot how long it takes to really get set up and fully moved into a new house. Six months after moving in, the outdoor season is in full swing and round two of getting settled (the garden edition) is sucking up a lot of our free time. Its fun seeing it all come together though and by this time next year we should have all of our major upgrades and renovations done. I’ll share a few pictures of our recent projects with you all soon. In the mean time, expect a few more easy recipes like these baked eggs since I’m sure that I’m not the only one that’s short on time these days. Hope you all are enjoying the sunshine and soaking up these long summer days like we are! Spray ramekins with cooking spray or rub with oil. Split the salsa between two ramekins. 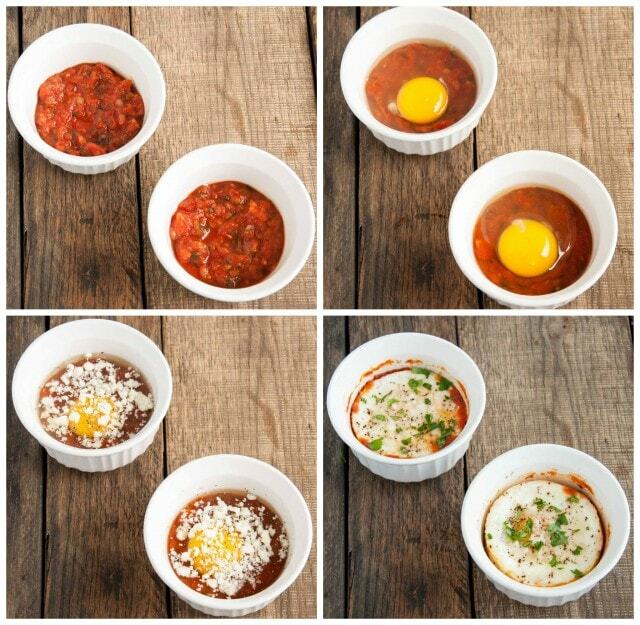 Crack an egg into each one on top of the salsa. Sprinkle cheese, salt, and pepper on top of each egg and bake for about 12 minutes until egg whites are set but yolks are still runny (or longer if you like firmer yolks). Remove from oven and sprinkle with cilantro before serving. This recipe is best served with toast to soak up the egg yolk and salsa.